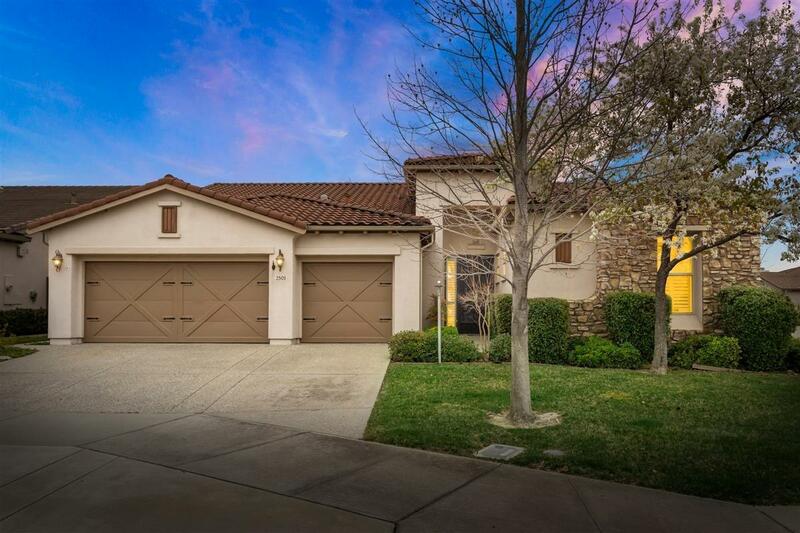 Rare and popular floor plan in Heritage Park, a gated 55+ community in No. Natomas. Walk to 25, 000 sq. ft. clubhouse; enjoy all the amenities and going-ons at Heritage Park. Home features 3 Bd, 3 Ba, 3 car garage with storage cabinets. Vaulted, wide entry hall welcomes you into home. Spacious kitchen with breakfast bar, dining nook and large cabinets with pull-out shelving. Simple backyard covered patio, with no lawn, fountain and low maintenance shrubbery. Plantation shutters and solar tubes allow lots of natural lighting throughout home. Whole house fan great for hot summer evenings. Nearby shopping, freeway access, airport, transit bus to downtown Sacramento helps you get quickly to where you want to go. Home has recent roof, pest reports available. Repair records available. Plan a visit now, home won't be on market long!